Buffett will provide about a quarter of the financing for fast food giant Burger King’s planned acquisition of Canadian company Tim Horton’s, the Wall Street Journal reported on Monday. Burger King will officially become a Canadian company, and subject to that country’s lower corporate tax rate. The investment would also thrust Mr. Buffett, known for championing American companies like Coca-Cola Co. and for advocating that wealthy individuals pay their fair share of taxes, into an uncomfortable position at the center of a spirited debate over U.S. tax policy. The deal is to be structured as a so-called inversion that would move the new company's headquarters to Canada. Such deals, which can help companies sidestep taxes, have drawn stiff opposition in Washington. 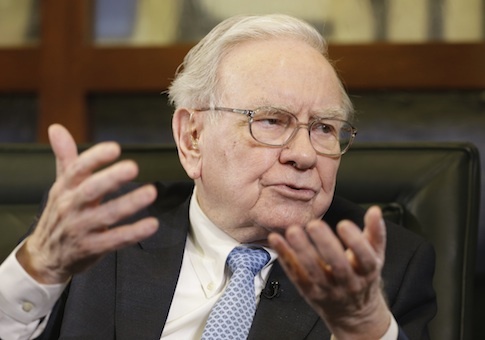 As in previous election cycles, Buffett has donated heavily to Democrats since last year, even as the party’s congressional leaders decry tax inversions as "unpatriotic" and seek legislation penalizing companies that exploit them. Among Buffett’s political donations this cycle are $64,800 in contributions to the Democratic National Committee. Some of the individual recipients of his campaign cash have themselves criticized tax inversions. "These companies are exploiting a loophole in the tax code to shelter profits overseas, while taking advantage of all the taxpayer-subsidized benefits of working from the U.S. — and that should be changed," said Georgia Democratic Senate hopeful Michelle Nunn this month. Buffett has maxed out to Nunn this cycle, writing her two $2,600 checks last year. This entry was posted in Politics and tagged Democratic Donors, Warren Buffett. Bookmark the permalink.